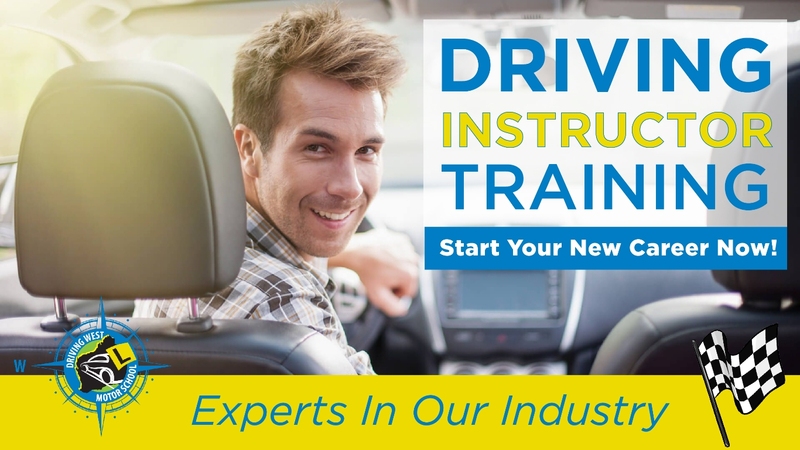 In preparedness of obtaining your Licence for becoming a Driving Instructor, Driving West Motor School offers a professional driver instructor training regime at a reasonable cost. Two payment options available either an upfront payment or weekly payments.We will assist and guide you through the process of obtaining your licence through the Department of Transport of WA. You will be provided with the necessary skills and knowledge for you to achieve a qualification to deliver Learner Driver Training services as an accredited instructor in Western Australia.At the end of your training you will be ready to compete an Assessment with the Department of Transport WA at a test centre of your choice. This is performed in-car and on the road with an assessor from The Department of Transport is a designated location. The training covers: Using Dual Controls, Cabin Drills, Taking Off& Stopping, Steering, U-Turns, Roundabouts, Traffic Lights, Merging, Changing Lanes, Reverse Bay Parking, Reverse Parallel Parking, Forward Parking, Country Driving, Commentary Driving, Lesson Plans, Diagrams & Student Record Sheets. In addition to the above you must make an Application for your National Police Clearance (NPC). The NPC must not be older than three (3) months old and remain valid for the duration of the application process, approximately ten (10) days, once a completed application is received. An accredited organisation such as: Veritas Check; CVCheck; Western Australia Police; Australian Criminal Intelligence for Individuals. Currently we offer two payment options for our clients. You can make a saving by choosing option one with an upfront payment of $1,500 payable prior to commencement of your training course. If you cannot use the upfront payment option, then option two may accommodate your budget where we offer 10 equal payments of $200 per week total of $2,000 commencing at the start of your training course. UNLIMITED exposure sitting in on live student lessons with an experienced driving instructor. Our training course will ensure that you are a Competent and Confident Instructor providing you with the necessary skills to teach your students how to be safe and confident drivers on our roads. You will be provided with the tools and knowledge to enable you to earn an income, skills to pass your Assessment with The Department of Transport whilst brushing up on road rules and avoiding bad habits. Our training will be catered to suit your time frame assisting you with your requirements which you must lodge with The Department of Transport. [Please note fees payable to The Department of Transport] are additional to the Training Course fees and directly payable to The Department Transport by the Instructor when lodging documents. As everybody are not at the same level, we can assess and discuss to see when we complete the full process of the Licence application, and we will assist throughout the whole process. Step 5 – Once the Department receives the Medical Assessment form It will take 10 days from the date they received the form to process and Complete the application. The Department will contact you to make an appointment to sit your PDA unless you have exemption due to undertaking an RTO Nationally Approved accreditation.